H.R. Khanna’s courage and independence must continue to inspire and remind generations of lawyers and judges of the sacrifice he made in upholding human rights, the rule of law and the independence of the judiciary. On February 25, 2008, Justice Hans Raj Khanna passed away at the age of 95. He stood for all that is respected and admired in a great judge — patience, courtesy, wisdom, but above all courage. A courage unsurpassed by any other judge of the Supreme Court since Independence. Khanna was born in 1912, joined the Bar in 1934, was appointed a District and Sessions Judge in 1952 and was elevated to the Punjab High Court in 1962 and finally to the Supreme Court in 1971. He has become immortal in the collective memory of the legal profession because of his judgment in 1973 in the fundamental rights case (Kesavananda Bharati). This judgment tilted the balance seven to six against the government, and curtailed the unrestricted power of Parliament to amend the Constitution on the doctrine of an un-amendable basic structure. 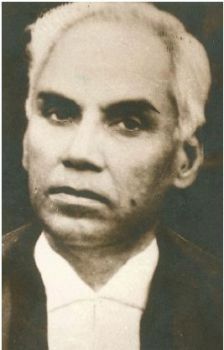 Outspoken critics of the judgment like H.M. Seervai, a great constitutional lawyer, changed their view after seeing the excesses of the Emergency. But Justice Khanna’s finest hour came on April 28, 1976 when he delivered his lone dissent in the habeas corpus case. Indira Gandhi lost her election case on June 12, 1975 and on her appeal in the Supreme Court she was only granted a conditional stay. As a result, she could neither vote nor speak in the Lok Sabha. She became a dysfunctional Prime Minister. Immediately thereafter, on June 25, 1975, she proclaimed a state of internal Emergency. In a midnight swoop, most of the prominent Opposition leaders, including Jayaprakash Narayan, Morarji Desai, Atal Bihari Vajpayee and L.K Advani, were detained without charges and trial. The fundamental right to life and liberty (Article 21) and equality (Article 14) were suspended. The Press was gagged and censored and orders were passed not to report unfavourable court judgments. Many persons were detained and habeas corpus petitions were presented for their release on the ground that such orders were ultra vires and beyond the statute, or were mala fide. A Bench of five judges of the Supreme Court (Chief Justice A.N. Ray; Justices Khanna, M.H. Beg, Y.V. Chandrachud and P.N. Bhagwati) heard what has come to be known as the habeas corpus case (A.D.M. Jabalpur v. Shiv Kant Shukla). The only question before the court was whether a petition for habeas corpus and other similar petitions under Article 226 were maintainable (notwithstanding the suspension of the fundamental rights) on the ground that the orders were beyond the statute or were issued with mala fide or were not in accordance with law. Shanti Bhushan led the argument. Ram Jethmalani, Soli Sorabjee and I came from Bombay to argue for various detenus. We thought our case was unanswerable, with nine High Courts in our favour. We were hopelessly wrong. Khanna’s dissent rejecting the Attorney-General’s argument held the petitions maintainable. It was the only light in an atmosphere of total gloom. But the reaction in other democratic countries was heartening. The New York Times on April 30, 1976, came out with an editorial which has become a classic and is cherished by many of us who lived through those dark days. Justice Khanna did not surrender. But it cost him his appointment as Chief Justice of India. He was superseded in January 1977 and Justice Beg who was next in seniority, appointed Chief Justice of India. Khanna promptly resigned. In his autobiography he writes of what he had told his sister, “I have prepared my judgment, which is going to cost me the Chief Justice-ship of India” — but he did not flinch or waver and remained true to his oath. His dissent does the Indian judiciary and the legal profession proud. The doctrine of basic structure which is now firmly rooted in our constitutional jurisprudence is his great gift to posterity. To adapt Winston Churchill’s felicitous phrase, never did so many owe so much to a single judge. He was enticed into becoming Law Minister in the Charan Singh government supported by Indira Gandhi in July 1979 but he suffered pangs of conscience and resigned in three days. Again, a principled sacrifice and the courage to recognise his error publicly. His portrait adorns Court No. 2 in the Supreme Court. His courage and independence must continue to inspire and remind generations of lawyers and judges of the sacrifice he made in upholding human rights, the rule of law and the independence of the judiciary. It is essential for each generation to share with successive generations the experiences and struggles of the past for preserving a constitutional democracy and the rule of law. It is an ever-greening process and Justice Khanna’s role must encourage each one of us — judge, lawyer and citizen — to play our little part in this never-ending battle. This is my small tribute to a great son of India. On February 25, Justice H.R. Khanna, a former judge of the Supreme Court died at the age of 96. His memory will remain so long as we cherish the ideal of an independent and courageous judge. Justice Khanna was not a brilliant or learned judge. He wasn’t a judge with a flair for writing judgments, or a judge known for a popular ideological stance. This unassuming judge left his mark in a manner in which no judge in India has done by his courage to decide issues on his own convictions without succumbing to any pressure from outside or within the Court. Two instances stand out in Justice Khanna’s tenure as a Supreme Court judge between 1971 and 1977. One was his dissenting judgment in 1976 in what is known as the ‘habeas corpus’ case in the Supreme Court. In the dark days of the Emergency between 1975 and 1977, the fundamental right of personal liberty was suspended. A large number of persons were detained under detention laws. Did such persons have a right to ask for their liberty if their detention was without authority of law? Nine high courts said that they could. The Government of India appealed to the Supreme Court against these decisions of the high courts. What would be the opinion of the highest court of the country? People eagerly awaited the verdict from a bench of five judges presided over by Chief Justice A.N. Ray which included Justice Khanna. A majority of four judges held that no person could ask for any relief from a court as the fundamental right to personal freedom had been suspended, not even if the order of detention was without authority of law or was made by an unauthorised person or was mala fide or even if a wrong person was detained. It was left to Justice Khanna alone to dissent. In a powerful dissent he said that even though the right to personal freedom was suspended, no person could be detained without authority of law as it was a cardinal principle of our jurisprudence that no person’s life or liberty could be taken away without authority of law. Justice Khanna was next in line of seniority to become Chief Justice of India after the retirement of Chief Justice Ray. He writes in his memoirs that when he wrote his dissent, he was fully conscious that he would not be appointed chief justice but he was undaunted. Nine months after his dissent, when Chief Justice Ray retired on January 28 1977, as he had anticipated Justice Khanna was superseded and his immediate junior, Justice M.H. Beg, who had written a judgment with the majority, was appointed Chief Justice of India. Immediately after the news was announced, Justice Khanna resigned. He thus lost the office of Chief Justice of India, but gained the eternal admiration and affection of the bar and the public. In a singular honour to him, his portrait was put up in a court room of the Supreme Court during his lifetime. Earlier in 1973, Justice Khanna had shown the courage of his convictions in the famous Kesavananda Bharati Case. Today, it has become an axiom of our constitutional law that Parliament cannot amend the Constitution to destroy ‘the basic structure of the Constitution’. It was Justice Khanna who was the author of the theory of the basic structure of the Constitution. How this came about is an interesting story. The Kesavananda Bharati case was one of the biggest cases to be decided by a bench of 13 judges of the Supreme Court over 76 days of hearings in court. It had to decide whether Parliament had the unfettered right to amend the Constitution or not. On April 24 1973, six out of 13 judges held that Parliament’s power to amend the Constitution was limited. Six other judges in the case were of the view that Parliament’s power was unrestricted. Justice Khanna took the position that though Parliament’s power to amend the Constitution was plenary, Parliament did not have the power to abrogate what he called ‘the basic structure of the Constitution’. Justice Khanna’s opinion tilted the balance in this delicate situation for the majority of the judges to hold that Parliament did not have the power to abrogate the basic structure. He showed a rare courage of his conviction even in this case in which the other judges were sharply divided in favour of Parliament or against it. In the galaxy of eminent judges of our Supreme Court, Justice Khanna will be remembered as one who won the admiration of the people by his conviction. The debates in Parliament prior to the enactment of the First Amendment throw light on the factors that led to the creation of the Ninth Schedule. THE Supreme Court’s judgment in the I.R. Coelho case has given rise to misgivings that the very objective of creating the Ninth Schedule under Article 31B to keep out judicial review was flawed. The First Amendment was passed in 1951 by the Provisional Parliament, elected on a limited franchise, which had not limited its legitimacy to carry out constitutional amendments. On May 29, 1951, after the Select Committee submitted its report on the First Amendment, Nehru said: “It is not with any great satisfaction or pleasure that we have produced this long Schedule. We do not wish to add to it for two reasons. One is that the Schedule consists of a particular type of legislation, generally speaking, and another type should not come in. Secondly, every single measure included in this Schedule was carefully considered by our President and certified by him – every one, except the last one, I think, and that last one was independently examined by us quite a great deal. If you go on adding at the last moment, it is not fair, I think, or just to this Parliament or to the country.” Nehru’s reply was in response to some members who had given notice of amendments to add other laws to the Schedule. The external inspiration for the Ninth Schedule came from Ireland, where land had been unevenly distributed. Article 43 (2) of the Irish Constitution stated that the exercise of the right on land should be regulated by the principles of social justice. As the Law Minister, Dr. B.R. Ambedkar explained to the House, the Irish law had appointed a separate board with the power to acquire land, to break up holdings, to equalise land, and to make uneconomic holdings economic ones by taking land from a neighbouring owner, and the right to assign compensation was given to this board. Ambedkar underlined the point that there was no judicial authority to interpret the action of this board and there was no appeal against the board’s decision. “Some people took appeals to the courts, but they held that no appeals lay with any court,” he told the House. The rationale for Article 31B and the Ninth Schedule becomes clear on reading the Parliament debates on the First Amendment relating to the Ninth Schedule. 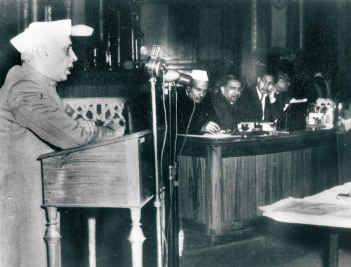 It is not the fear of the judiciary striking down land reform laws that compelled the Nehruvian state to prevent judicial review of those laws, but its remarkable degree of impatience – characteristic of those early years following the achievement of freedom – with the conservatism of the judiciary. Today, as the Indian state comes under growing pressures of neoliberalism and globalisation, the gap between political aspirations of the masses and the political leaders, and the attitude of the judiciary towards issues of governance become all the more striking than ever before. Today, the judiciary appears to be a willing participant in the reforms process and views any kind of protective umbrella in favour of the weaker sections with disdain and disapproval. Therefore, the rationale for the Ninth Schedule, as articulated by Nehru and Ambedkar in the early 1950s, continues to be relevant even today. Contrary to the Ninth Schedule, whose genesis is rooted in the socio-political circumstances of the early years of the Indian Republic, the basic structure doctrine is often traced in the academic circles to a lecture given by a German scholar, Dieter Conrad, in 1965 in India on the “Implied Limitations of the Amending Power” (A.G. Noorani, “Behind Basic Structure Doctrine,” Frontline, April 28, 2001). Conrad’s lecture apparently influenced Chief Justice Koka Subba Rao in the Inder C. Golak Nath case. The Supreme Court in its decision in the case on February 27, 1967, held that Parliament’s power to amend the Constitution could not be used to abridge fundamental rights, in part because an amendment was deemed to be a `law’ under Article 13, which prohibited Parliament from making any law abridging fundamental rights. As the judgment in the I.R. Coelho case marks a return to the Golak Nath era, it is useful to recall details of that judgment. Justice Subba Rao, in his opinion for the majority, invoked the concept of implied limitations on the amending power. This precluded amendments that would destroy a Constitution. On the other hand, the dissenting judgment by Justices Wanchoo, Bhargava and Mitter held that all parts of the Constitution were subject to amendment, and that there was no such restriction under Article 13 as such as, according to them, an amendment cannot be treated as a law. Wanchoo rejected the contention that certain portions of a Constitution could be too basic to be amended. Were this admitted, “it would be only the courts which would have the power to decide what are the basic features of the Constitution, and this would result in a harvest of legal wrangles.” (Granville Austin, Working a democratic Constitution: The Indian Experience; Oxford University Press). As Granville Austin writes, the most significant element of the case constitutionally was the introduction in the hearings by the Golak Naths’ advocates, principally M.K. Nambiar, of the `basic structure’ concept. Hoping to defend their property interests by attacking the Constitution (17th Amendment) Act, they asserted that the word `amendment’ implied an addition to the Constitution that improves or better carries out its purpose and “cannot be so construed as to enable Parliament to destroy the permanent character of the Constitution”. Moreover, the fundamental rights are a part of the basic structure of the Constitution and the amending power could be “exercised only to preserve rather than destroy the essence of those rights”. The Golak Nath ruling led to increased parliamentary authority to amend the Constitution. Through the 24th Amendment, Parliament restored to itself unfettered authority to amend the Constitution, including its repeal. Subba Rao resigned as Chief Justice on April 11, 1967, to run for presidency with the support of the Swatantra Party, which stood for property interests. The genesis of the basic structure doctrine is perhaps a confirmation of what senior advocate Raju Ramachandran later wrote in Supreme But Not Infallible: Essays in Honour of the Supreme Court of India. The Indian judiciary, he writes, has used the basic structure doctrine mostly to protect judicial power. He argues that a weakened political class, anxious to show adherence to the rule of law has quietly acquiesced in judicial primacy, and the Supreme Court, armed with the ultimate power to annul amendments to the Constitution, has used the doctrine and lesser powers flowing from it, extensively. The Supreme Court ruling in the MPs’ expulsion case is neither surprising nor an exercise of “judicial activism” in the correct meaning of the term. THERE are two ways of assessing the Supreme Court’s judgment of January 10 on whether a House of the legislature – Parliament or State Legislature – has the power to expel a member from the membership of the House, and, if so, whether it is open to judicial review and on what grounds. The court held (4-1) that it has the power; it is open to judicial review, not on the merits of the case, but only if it has been exercised illegally as distinct from irregularly. The ruling is, with respect, sound; but neither surprising nor an exercise of “judicial activism” in the correct meaning of the much-abused expression. It is unnecessary to state the facts here. Ten members of the Lok Sabha and one of the Rajya Sabha were exposed by a television channel receiving money for raising questions in the House. Later, another member of the Rajya Sabha was exposed in a similar manner for improper conduct in relation to the Member of Parliament Local Area Development Scheme (MPLADS). Proper inquiries were held by Committees of each House, the MPs were given full opportunity for their defence, and were expelled from their respective Houses. Sting operations stand vindicated. Also vindicated is one of the finest MPs the country has known, Era Sezhian. His work on the MPLADS, published by the Institute of Social Sciences, New Delhi, exposed the racket that it is. But who cares? The five-member Bench delivered three judgments. A main one by Chief Justice Y.K. Sabharwal to which Justices K.G. Balakrishnan, now Chief Justice, and D.K. Jain are party; a concurring one by Justice C.K. Thakkar, which mostly cites foreign cases without significantly elaborating on the discourse; and a dissent by Justice R.V. Raveendran, which opined, with respect, erroneously, that expulsion is a “new category of cessation of membership” which is not mentioned in Articles 101 and 102 on the qualifications of members. This view is unsupported by authority or practice anywhere. Justice Sabharwal’s 168-page judgment is a model of verbal excess. The issues were largely concluded by the Supreme Court’s advisory opinion in the Uttar Pradesh Assembly case 40 years ago (President’s Reference No.1 of 1964, AIR 1965 S.C. 745). In 1958 the Supreme Court had ruled in the case of the Patna daily Searchlight that the privileges of legislatures, elected by the people of India, over-ride the fundamental rights of their masters, the people who elect them. 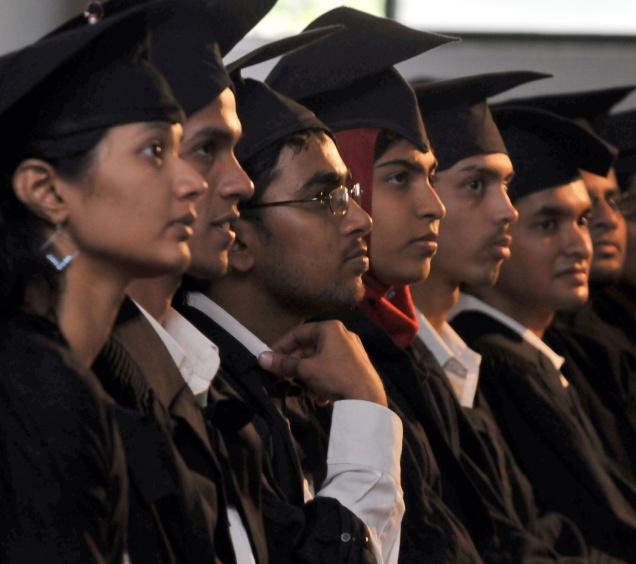 Justice K. Subba Rao delivered a powerful dissent (M.S.M. Sharma vs. S.K. Sinha, AIR 1959 S.C. 395). In the U.P. case, the Assembly ordered the arrest of two Judges of the High Court for releasing on bail a person it had ordered to be imprisoned for contempt and the advocate who had presented the bail application. The President referred the case to the Supreme Court for its opinion. A Special Bench of seven Judges ruled, by 6-1, that: 1. “The content of Article 194 (3) must ultimately be determined by courts and not by legislatures” [their spurious and novel claim to be judges of their own power was rejected]; 2. The writ jurisdiction of the High Courts under Article 226 is not subject to the privileges; 3. The fundamental right to move the Supreme Court for the enforcement of the fundamental rights, embodied in Article 32, is not subject to the privileges either, it is an “absolute constitutional right”; 4. The guarantee of personal liberty embodied in Article 21 applies when the legislatures exercise their powers in respect of their privileges; and, 5. Article 212(1) exempts from judicial scrutiny only irregularities in legislative proceedings. But “if the impugned procedure is illegal and unconstitutional, it would be open to be scrutinised in a court of law”. Unfortunately, the court stopped here. It did not proceed to rule, as it ought to have, that the fundamental rights, particularly the right to free speech [Article 19(1)(a)], prevail over the privileges. It said: “We do not propose to enter into a general discussion as to the applicability of all the fundamental rights to the cases where legislative powers and privileges can be exercised against any individual citizen of this country. We are dealing with this matter on the footing that Article 19(1)(a) [freedom of speech] does not apply and Article 21 [right to personal liberty] does. If a citizen moves this court and complains that his fundamental right under Article 21 had been contravened, it would plainly be the duty of the court to examine the merits of the said contention, and that inevitably raises the question as to whether the personal liberty of the citizen has been taken away according to the procedure established by law.” The court relied on G.K. Reddy vs Mafisul Hasan, AIR 1954 S.C. 636. Reddy, then correspondent of Blitz, was ordered to be arrested by the Speaker of the U.P. Assembly. The Supreme Court exercised jurisdiction. The Supreme Court pointed out that while the British Parliament originated as a “High Court of Parliament”, the Indian legislature did not, and many privileges had fallen into desuetude. Two points deserve particular note. First, the legislatures’ rules of procedure are “law” and, therefore, subject to fundamental rights. The committees of privileges are creatures of the rules. Their composition and procedure are, therefore, wide open to challenge on the grounds that they do not guarantee fairness and impartiality as Article 21 requires. Secondly, the court, in 1965, pointed to “the uniform practice which the House of Commons has followed for more than a century past” to file a return before the courts. “It is not disputed that whenever commitment orders passed by the House of Commons are challenged in England before the courts at Westminster, the House invariably makes a return… .” Indian legislatures, however, refuse to do that while claiming the privileges of the Commons. They rely on the Searchlight ruling and flout the U.P. ruling because it was an “advisory opinion”, as if the law it declared was not binding. In an able study, “Parliamentary Privileges and the Press” by Prof. M.P. Jain, commissioned jointly by the Press Council of India and the Indian Law Institute, the author records: “Since 1965, a new trend has been visible in the legislature – court equation in privilege matters. A view has now come to be held that if any question is raised in a court as regards the legislative privilege, it will itself be a breach of privilege for any member or the Speaker of the House to defend the position of the legislature. Before 1965, invariably in all cases arising in the courts concerning privilege matters, the legislature defended its position before the courts.” This vicious trend was set by the U.P. Assembly’s committee of privileges pronouncing the Supreme Court’s opinion to be wrong. In the present case also the Lok Sabha Speaker did not appear. This grotesque situation has come about because of the Founding Fathers’ misplaced faith in the commitment of legislators to the rights of citizens. The fence soon began to devour the grass. This is how it happened. Article 105(1) says that subject to the provisions of the Constitution and to the rules of procedure “there shall be freedom of speech in Parliament”. Sub-clause 2 confers immunity on MPs against judicial proceedings in relation to speeches and votes in the House. Sub-clause 3 is crucial. “In other respects, the powers, privileges and immunities of each House of Parliament, and of the members and the committees of each House, shall be such as may from time to time be defined by Parliament, and, until so defined, shall be those of the House of Commons of the Parliament of the United Kingdom, and of its members and committees, at the commencement of this Constitution.” Note its temporary character – “until so defined” – and the mandate to codify the privileges (“shall be… defined by Parliament” by law). Members of the Constituent Assembly deeply resented the reference to the British House of Commons in the Constitution of an independent India. On behalf of the Drafting Committee, Sir Alladi Krishnaswami Aiyar assured them: “Only as a temporary measure, the privileges of the House of Commons are made applicable to this House” (emphasis added, throughout). It was on the faith of this explicit assurance that on May 19, 1949, the Constituent Assembly adopted the provision. Article 194 contains identical provisions for State legislatures. However, on October 16, 1949 the President of the Assembly, Dr. Rajendra Prasad, delivered this warning: “So, it is only a temporary affair. Of course, the Parliament may never legislate on that point and it is therefore for the members to be vigilant.” Little did he reckon with the day in 1958 when the apex court would not only take away all need for vigilance, but also provide them with incentive for aggrandisement by mere inaction. In 1978 the Supreme Court ruled, in Maneka Gandhi’s case, that when Article 21 says that “no person shall be deprived of his life or personal liberty except according to procedure established by law”, it does not mean any procedure and by any law. It must be a procedure fair and reasonable and the “law” must be one which also satisfies the tests of Article 19. Thus, an action that violates the right to free speech guaranteed by Article 19(1)(a) is also violative of Article 21. The Supreme Court has ruled that in any event Article 21 prevails over the privileges. The Select Committee on parliamentary privileges set up by the House of Commons reported in December 1967 that “the present procedure for dealing with complaints does not manifestly comply with the ordinary principles of natural justice”. Since we still follow that procedure, it stands condemned under the Maneka Gandhi case ruling. Suffice it to say that the 1978 ruling widens the ambit of the 1965 ruling to extend Article 21 to cover Article 19 also. We need not go into the cosmetic changes made by the 42nd and 44th amendments to the Constitution. The position is that the law is frozen at the stage it was in Britain on January 26, 1950, in respect of all three – “the powers, privileges and immunities” of each House of the British Parliament. Therefore, whether expulsion belongs to the realm of parliamentary privilege or not the “power” to expel indubitably belonged to the House of Commons for centuries. Ergo the power or privilege, if you like, also vests in each House of every Indian legislature, Central or State. In the light of the U.P. case, its exercise is open to judicial review on the grounds stated by the six Judges in 1965. Where was the need for Sabharwal J. to deliver a 168-page judgment travelling as far back as the East India Company Act, 1784? Where also was the need to make generalisations? And irrelevant ones, besides? Read this: “The loose federal structure that India has adopted for itself.” Can India’s federal structure be called a “loose” one by any stretch of imagination – or language? Long quotations of dubious relevance are matched by inadequate discussion. For instance, Sabharwal ignores the aspect of codification of privileges, to which the President of the Constituent Assembly drew pointed attention on October 16, 1949. The Judge could not have been unaware of the rampant abuse of parliamentary privilege in India relying on the law in the U.K. frozen as in 1950, and that in gross error as well as in wilful neglect of the fact that British law and practice have rendered the law of privileges as of 1950 obsolete in vital respects. Neither in the Constitution Assembly nor in this judgment, otherwise rich in copious quotes, is there reference to the fact that a draft code of privileges was available in 1949, of which Dr. B.R. Ambedkar was apparently unaware. It was the Bengal Assembly Powers and Privileges Bill, 1939 (Calcutta Gazette, July 27, 1939). On it was based the Karnataka Legislature (Powers, Privileges and Immunities) Bill, 1988 (L.A. Bill No.14 of 1988). The point is simple as even Chief Justice of India S.R. Das noted in the Searchlight case – if privileges are codified by “law”, that law, like any other, would be subject to fundamental rights. The Searchlight case, decided in gross error, perpetrated the myth that since the privileges of the House of Commons were not subject to curbs by a written Constitution neither are those of our legislatures. The United Kingdom has adopted the Human Rights Act. Australia, on whose Constitution Article 105 is based, has codified privileges. Sabharwal ranges far and wide, but his travels do not take him anywhere near the spot where citizen’s rights are imperilled. The Supreme Court has no power to order the government to legislate; none whatever. Its rulings in the Hawala case (1996) and on police reforms (2006) are palpably wrong. But it is not only a right, but a duty on the part of the courts to point to anomalies and recommend legislation. One can view the judgment in the expulsion case as a sound one, however verbose and long-winded. One cannot but regret that the court missed a fine opportunity of drawing attention to an anomaly – the fence eating the grass – and suggesting codification. The judgment would not have suffered but rather gained in quality if it had been pruned. Judgments are not theses but judicial pronouncements on specific issues for the guidance of all. There is not one journal in India of the quality and authority of the Law Quarterly Review to keep vigil on judicial excesses, in language and content. Even Law Lords dread its censure. He had only to proceed further and point out the obvious – “in the light of the expanded scope of” Article 21, other fundamental rights are also applicable if privileges are invoked; for example, Article 19(1)(a) guaranteeing freedom of speech. That mere statement of the obvious would have struck a powerful blow for the citizen’s rights. But the otherwise wordy judgment halted there; a failure of proper “judicial activism”. All that remains is for the Supreme Court to rule specifically – what it omitted to rule in 1965 and 2006 – that the fundamental rights prevail over the privileges; specifically the fundamental right to freedom of speech. Supreme Court weakens the constitutional protection to progressive laws by making laws in the Ninth Schedule vulnerable to legal challenge. THE strength of the Indian Republic can be said to rest on the doctrine of separation of powers between the legislature and the executive on the one hand and the judiciary on the other. On January 11, the dynamics of this doctrine revealed a clear tilt in favour of the judiciary, with the Supreme Court appropriating to itself the power to pronounce on the legality of the laws enacted by Parliament with in-built immunity from the consequences of their impact on fundamental rights. The Court did so when a nine-Judge Bench sought to resolve a constitutional issue involving the nature and character of the protection provided by Article 31B of the Constitution of India to laws added to the Ninth Schedule of the Constitution in I.R. Coelho vs State of Tamil Nadu and Others. Article 31B, inserted by the First Amendment to the Constitution in 1951, says that none of the Acts and Regulations specified in the Ninth Schedule shall be void on the grounds of inconsistency with the fundamental rights guaranteed under the Constitution. The Bench unanimously held that even though an Act is put in the Ninth Schedule by a constitutional amendment, its provisions would be open to attack on the grounds that they pertain to what the judiciary interprets as the basic structure of the Constitution. The Bench virtually opened a Pandora’s box by suggesting that all laws inserted under the Ninth Schedule after April 24, 1973, can now be challenged by anyone for perceived violation of fundamental rights that might affect the basic structure of the Constitution as interpreted by the judiciary. The Ninth Schedule comprises 284 Acts and Regulations, of which almost 218 were inserted after April 24, 1973. All these 218 laws have now become vulnerable to legal challenge on the grounds of violation of the basic structure doctrine, evolved and interpreted by the Supreme Court in the celebrated Kesavananda Bharati case on April 24, 1973. The cut-off date is significant. It was on this date that the Supreme Court’s 13-Judge Bench laid down for the first time, with a razor-thin majority of 7:6, the doctrine of the basic structure of the Constitution. The doctrine held that Parliament cannot exercise its amending power so as to damage or destroy the basic structure of the Constitution. Several Acts were put in the Ninth Schedule prior to that judgment on the supposition that the power of Parliament to amend the Constitution was wide and untrammelled. The Supreme Court, in a subsequent judgment (Waman Rao) said: “A large number of properties must have changed hands and several new titles must have come into existence on the faith and belief that the laws included in the Ninth Schedule were not open to challenge on the ground that they were violative of Articles 14, 19 and 31. We will not be justified in upsetting settled claims and titles and in introducing chaos and confusion into the lawful affairs of a fairly orderly society.” Most of the Acts included in the Ninth Schedule by that date dealt with agrarian reform, with a few exceptions such as items 17, 18 and 19 which relate to insurance, Railways and industries. In this case, the Supreme Court held that the post-April 24, 1973, additions to the Ninth Schedule were open to challenge on the grounds that they, or any one or more of them, were beyond the constituent powers of Parliament since they damaged the basic or essential features of the Constitution or its basic structure. The post-April 1973 expansion of the Ninth Schedule has apparently caused dismay to many observers, mainly because of the large number of Acts and Regulations that have been added. In other words, the concern of the critics of the Ninth Schedule appears to be over the quantity rather than the content of these laws. Even the Supreme Court in its January 11 judgment has not analysed the nature and character of these laws to throw light on whether they indeed deserve protection from legal challenge on the grounds that they violate fundamental rights. The judgment makes only one point: that many additions are unrelated to land reforms. But this does not answer the question whether laws unrelated to land reforms, yet progressive in nature, would not require similar protection. Certain laws might have been enacted prior to April 1973, but put under the Ninth Schedule subsequently in order to rule out any legal challenge to their validity, in view of their importance from the socio-economic perspective. A sample of such laws would be of interest: The Mines and Minerals (Regulations and Development) Act, 1957; the Monopolies and Restrictive Trade Practices Act, 1969; the Coking Coal Mines (Emergency Provisions) Act, 1971; the Coking Coal Mines (Nationalisation) Act, 1972; The Sick Textile Undertakings (Taking over of Management) Act, 1972; the Conservation of Foreign Exchange and Prevention of Smuggling Activities Act, 1974; the Essential Commodities Act, 1955; the Bonded Labour System (Abolition) Act, 1976; and so on. All these laws, which have contributed to social and economic justice, are open to legal challenge following the Supreme Court’s judgment. Contrary to what one would assume, the addition of laws under the Ninth Schedule is not a frequent exercise by Parliament. The last addition to the Schedule was in 1995, when Parliament enacted the 78th Amendment, adding a few State Acts and bringing up the total number of statutes to 284. The nine-Judge Bench clearly said that the validity of Article 31B is not in question before them and that a mere possibility of abuse is not a relevant test to determine the validity of a provision. Having said that, however, the Bench precisely does the same: it renders Article 31B redundant merely because of its hypothetical fears, and this is clear from its illustrations. In making these observations, the nine-Judge Bench has clearly gone beyond its mandate. What is curious is that the order of reference made to it in 1999 in the I.R. Coelho case still remains unanswered by the Bench despite this elaborate reasoning. Section 2-C of the West Bengal Land Holding Revenue Act, 1979, was struck down by the Calcutta High Court as being arbitrary and, therefore, unconstitutional, and a special leave petition filed against the judgment by the State of West Bengal was dismissed. The Constitution 34th Amendment Act inserted the Janmam Act in the Ninth Schedule in 1974. The same Act added 19 other State Acts concerning land ceiling and land tenure reforms to the Ninth Schedule. The Constitution 66th Amendment Act added the West Bengal Act in the Ninth Schedule in 1990. These insertions were the subject matter of challenge before a five-Judge Bench. The contention before this Bench was that the statutes, inclusive of the portions thereof that had been struck down, could not have been validly inserted in the Ninth Schedule. The Bench found it difficult to decide the issue without the help of clear case law on the subject. The only relevant precedent was the Supreme Court’s judgment in Waman Rao & Others vs Union of India in 1981, in which the Court held that the post-April 24, 1973 additions to the Ninth Schedule were open to challenge. The Bench in the 1999 I.R. Coelho case observed that the judgment in Waman Rao needed to be reconsidered by the nine-Judge Bench in view of certain inconsistencies. Specifically, the reference to the nine-Judge Bench was to decide whether an Act or Regulation which, or a part of which, is or has been found by the Supreme Court to be violative of one or more of the fundamental rights conferred by Articles 14, 19 and 31 can be included in the Ninth Schedule or whether it is only a constitutional amendment amending the Ninth Schedule which damages or destroys the basic structure of the Constitution that can be struck down. In other words, the validity of Article 31B was never an issue in the Waman Rao or I.R. Coelho cases. But the nine-Judge Bench distorted the fundamental question before it: “The fundamental question is whether on and after 24th April, 1973 when basic structure doctrine was propounded, it is permissible for the Parliament under Article 31B to immunise legislations from fundamental rights by inserting them into the Ninth Schedule and, if so, what is its effect on the power of judicial review of the court.” As a result, the basic reference which resulted in the constitution of the nine-Judge Bench in the case remains unanswered. Having not answered this essential reference, the nine-Judge Bench went beyond its mandate and created a golden triangle of Articles 14, 19 and 21 and said these Articles would form the touchstone of the basic or essential features in Part III of the Constitution, dealing with fundamental rights. Article 14 deals with equality before law, while Article 19 and 21 deal with the right to freedom. The actual effect and impact of the law on the rights guaranteed under Part III has to be taken into account for determining whether or not it destroys the basic structure, the Bench held. This creation of the golden triangle of three fundamental rights has led some observers to conclude that the country is back to the Golak Nath era. The Golak Nath judgment was delivered by the Supreme Court in 1967 – like the Kesavananda Bharati case – by a razor-thin majority of 6:5. The majority in Golak Nath held that the fundamental rights were non-amendable through the constitutional amending procedure set out in Article 368. They said that the fundamental rights occupy a “transcendental” position in the Constitution, so that no authority functioning under the Constitution, including Parliament exercising the amending power under Article 368, would be competent to amend them. The Golak Nath judgment confined itself to fundamental rights and did not cover other important parts of the Constitution while considering Parliament’s amending power. According to the Kesavananda verdict, however, even a fundamental right can be amended or altered provided the basic structure of the Constitution is not damaged in any way. But it did not specify which of the fundamental rights would form part of the basic structure, leaving the issue to be decided on the facts and circumstances of each case. This flexibility was occasioned by the realities of the 1970s, when Parliament enacted a number of socio-economic laws for the welfare of the people. Again, there is a debate among legal scholars on the position of Justice H.R. 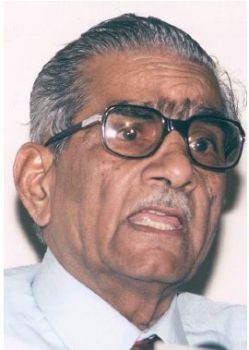 Khanna, who was among the 13 Judges in the Kesavananda Bharati case and who tilted the scales in favour of the majority. The curious thing is that Justice Khanna sided with the majority Judges on the basic structure doctrine, but sided with the minority Judges while upholding the 29th Amendment, unconditionally. The 29th Amendment, enacted in 1972, added two Kerala Acts dealing with land reforms in the Ninth Schedule, and this was the subject matter of challenge in the Kesavananda Bharati case. Some scholars and the nine-Judge Bench that heard the reference in the I.R. Coelho case believe that Justice Khanna did not exclude fundamental rights from the purview of the basic structure. But they believe so on the basis of Justice Khanna’s later clarification about what he meant in another case. Other scholars refuse to adopt this reasoning on the basis of a subsequent clarification by a Judge whose decision was crucial to the outcome of the case. Justice Khanna did not find any infirmity in the 29th Amendment and joined the six Judges who did not endorse the basic structure doctrine to uphold the Amendment. But Justice Khanna also opined in the judgment that fundamental rights could be amended, abrogated or abridged so long as the basic structure of the Constitution is not destroyed. Ironically, despite this seemingly inconsistent stand of a Judge in the Kesavananda Bharati case, which influenced its outcome, the judgment has been relied upon to interpret the validity of laws inserted in the Ninth Schedule. The I.R. Coelho judgment of the nine-Judge Bench is disturbing because it emphasises fundamental rights over the directive principles of the Constitution at a time when the neoliberal agenda of the state is being endorsed in various judgments of the Court. At one place, the Bench opines that it is wrong to suggest that equity and justice finds a place only in the directive principles. One wonders whatever has happened to the Supreme Court’s earlier emphasis on maintaining the fine balance between fundamental rights and directive principles. 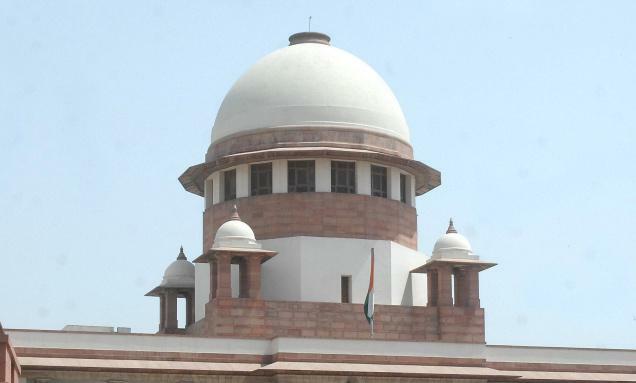 In its over-enthusiasm to shield fundamental rights from imaginary challenges from the state, the Supreme Court has obviously overlooked a key Directive Principle of State Policy as enshrined in Article 38(2), inserted by the 44th Amendment in 1978 when the Janata Party was in power, following the repeal of the Emergency. It directs the state to strive to minimise the inequalities in income and endeavour to eliminate inequalities in status, facilities and opportunities, not only amongst individuals but also amongst groups of people residing in different areas or engaged in different vocations. The objective of this Amendment is that the fundamental right to equality under Article 14 cannot be divorced from the larger question of egalitarianism. Indeed, it is egalitarianism that gives meaning and content to the right to equality. Justice Jagmohan Lal Sinha represented a precious legal culture far removed from that of today. He pities the plumage, but forgets the dying bird. The Rights of Man, 1791, page 26. In popular esteem, Justice Jagmohan Lal Sinha, who died on March 20, was an upright and courageous Judge of the Allahabad High Court who held Prime Minister Indira Gandhi guilty of two corrupt practices and declared her election to the Lok Sabha void, on June 12, 1975. But he represented a precious legal culture which was fading away, dying, even as he spoke. The Judge’s courage was applauded. The culture and the values he represented remain neglected as are the magnificent judgment he delivered, the atmosphere in which he functioned and the tragic aftermath of the decline of the Indian judiciary, the end of which is not in sight. It represents today a legal culture far removed from Sinha’s. This neglect is not all. His judgment was belittled. The offences Indira Gandhi committed were characterised as “technical” and “trivial”. To get a measure of the situation, read his judgment today and compare it with the ones which one comes across all too often. Analysis of the law and the evidence was rigorous; the language was dignified and restrained; the fairness and the balance were conspicuous and there was not a trace of the florid rhetoric that is a prominent feature of very many judgments of now: no quotes from Tagore or Gandhi, no sermons and not a word about the tensions to which he was subjected. No claims to judicial heroism, either. Recent disclosures provide a glimpse of the times. Shanti Bhushan, counsel for the petitioner Raj Narain, revealed an incident in The Indian Express (March 23, 2008). While the case was being heard, the Chief Justice, D.S. Mathur, visited Justice Sinha. He was related to the Prime Minister’s physician. Mathur told Justice Sinha that “Sinha’s name had been considered for the Supreme Court and as soon as the judgment had been delivered, he would get appointed to the Supreme Court. Of course, Justice Sinha maintained a discreet silence.” He also declined the offer Shanti Bhushan made, as Law Minister in 1977, to transfer him to the Himachal Pradesh High Court “so that he could get elevated as Chief Justice when a vacancy arose”. He did not project himself or preen about, nor did he lap up lucrative arbitrations. Likewise, Justice V.R. Krishna Iyer, then vacation Judge of the Supreme Court, revealed in The Hindu (March 19) how Law Minister H.R. Gokhale telephoned him seeking an interview. “Why do you want to meet me, Mr. Gokhale?” he asked. The visit was not necessary. The appeal and petition for stay could be presented to the Court’s Registrar. On June 24, 1975, Justice Krishna Iyer granted a conditional stay of the order on the usual terms. Indira Gandhi could not vote or participate in the proceedings as a Member of Parliament but could sign the Register of Attendance to save the seat. She could participate in the proceedings as Prime Minister, but without a vote. “There will be no legal embargo on her holding the office of Prime Minister,” Justice Krishna Iyer pointedly added. The very next day, in the dead of night, Indira Gandhi imposed Emergency, imprisoned leaders of the Opposition and imposed press censorship. The Election Laws (Amendment) Act was enacted, on August 5-6, to amend the law retrospectively on the very points on which Justice Sinha had ruled against the Prime Minister. Worse, the power to disqualify was vested solely in the President, to the exclusion of the Election Commission. On August 7-8, Parliament enacted the Constitution 39th Amendment Act, 1975. Its effect was to set aside Justice Sinha’s order, exclude the court’s jurisdiction on disputed election to named high offices, including the Prime Minister’s, but without setting up an alternative forum. On November 7, 1975, the Supreme Court upheld the amendments and validated the Prime Minister’s election, while striking down the provision in the constitutional amendment (Clause (4) of Art. 329 (A)) which in effect validated the Prime Minister’s election and put it beyond judicial scrutiny. It violated “the basic structure” of the Constitution. This doctrine has stood the country in good stead. Recently some ambitious schemers have set about belittling it to gain brownie points from the state. I was surprised that this emerged in print, but was relieved that what Haksar had said to me in private was now on record. He had a couple of years earlier said exactly the same thing to this writer; namely, that he had met all the judges hearing the appeal – except one judge, whom he named. The writer was in a bind. It was said in confidence. I fully reciprocated Haksar’s affection, extended despite my known differences of view. But the disclosure was of historical significance. I had decided to reveal it to two persons, a close associate of Haksar and a trusted colleague at the bar. Now, it was in print. The games had begun much earlier. Justice P. Jaganmohan Reddy, one of the finest Judges of the Supreme Court ever, records in his memoirs, The Judiciary I Served, that as early as November 1970, Chief Justice M. Hidayatullah told a meeting of the Judges that “there was a likelihood of Justice J.C. Shah next-in-line (as Chief Justice) being superseded because the Government felt that the Supreme Court was not supporting the Government’s actions”. Justice Shah had pronounced the Court’s judgment in the bank nationalisation case. All the Judges except one threatened to resign if he was superseded. Justice Shah was appointed Chief Justice on December 17, 1971. That solidarity was gone when, on April 24, 1973, three Judges were superseded (J.M. Shelat, K.S. Hegde and A.N. Grover) and A.N. Ray was appointed Chief Justice. Recent appointments to the Bench had destroyed the solidarity. So complete was the government’s penetration into the Court’s deliberations that, as Justice Jaganmohan Reddy disclosed apropos the fundamental rights case (Keshavananda Bharati vs State of Kerala), “not only was the Government aware of what each one of us was going to decide some time before Judgments were pronounced, but the supersession was also decided about that time”. Judges circulate drafts of their judgments to colleagues. He did not receive his copy. The supersessions came the very next day after the judgment. Apparently the drafts reached Law Minister Gokhale. It was in this clime that Justice Sinha delivered his judgment in the Allahabad High Court on June 12, 1975. He held Indira Gandhi guilty of two corrupt practices under Section 123 (7) of the Representation of the People Act, 1951. 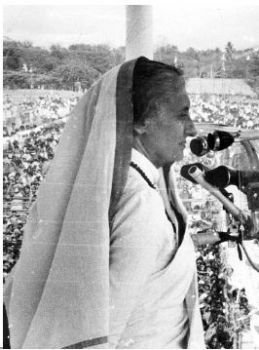 The first was her act of obtaining in her constituency, Rae Bareli, the assistance of Gazetted Officers of the Uttar Pradesh government, namely, the District Magistrate, the Superintendent of Police, the Executive Engineer, Public Works, and Engineer, Hydel, for the construction of rostrums and arrangement of supply of power for loudspeakers in the meetings addressed by her. Second, she obtained the assistance of a Gazetted Officer in the services of the Government of India, Yashpal Kapoor, who held the post of Officer on Special Duty in the Prime Minister’s Secretariat, to further her election prospects. Justice Sinha declared her election to the Lok Sabha in 1971 void and disqualified her from being a Member of Parliament or of a State legislature for a period of six years from the date of the order. 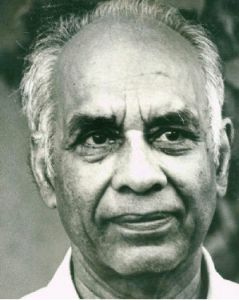 The Judge rejected five of the seven main charges that Raj Narain had levelled, such as assistance of the armed forces to Indira Gandhi for arranging flights by Air Force planes and helicopters; distribution of clothes and liquor to voters; use of the religious symbol of cow and calf; free conveyance of voters to the polling stations; and incurring expenditure in excess of the limit. Nor was Raj Narain’s case accepted completely in respect of the remaining two charges. The Judge upheld the Prime Minister’s defence that the arrangement of loudspeakers was done by her party and not by government officers. But he found that they did arrange “for supply of power for the functioning of the loudspeakers” for which bills were sent to the Uttar Pradesh Congress Committee. Justice Sinha fully accepted that and more besides, while rejecting the petitioner’s plea. “It is the first duty of every government to maintain law and order…. I am accordingly in agreement with the plea put forward by the respondent No. 1 [Indira Gandhi] that the posting of police along the routes and at the place of the meetings as well as the setting up of barricades at the two places was done by the Government in discharge of the Governmental duties. The construction of rostrums and the supply of power by or through the officers of the State Government, however, stand on a different footing.” Is there any other democracy in the world where government officials erect rostrum for candidates who happen to be Ministers? This was neither “trivial” nor “technical”. If allowed, it would facilitate graver abuses. The construction of rostrums for Ministers on election campaign is no part of an official’s duty, nor is arrangement of power supply for the loudspeakers. The Judge rejected Raj Narain’s charge that Indira Gandhi’s use of an IAF plane was “directly connected” with electioneering. Justice Sinha’s judicial approach is best reflected in his comments on the evidence of Indira Gandhi, Haksar and Yashpal Kapoor, who had served the Nehru family and particularly Indira Gandhi since 1951. R.K. Dhawan is his nephew. Both rose from stenography to membership of the Rajya Sabha. Kapoor flitted in and out of state service at her convenience when she was Minister for Information and Broadcasting (1964-66), or Prime Minister. He gave up his government job in the Prime Minister’s secretariat to work for her in the Rae Bareli constituency, only to rejoin his post after the polls, all, admittedly, at her instance. It suited her to have him on the government’s payroll and to resign whenever the law came into play. It worked in 1967. In 1971 both messed up the arrangement, with fateful results. The line between the party and the state never mattered to her. The law is clear. Section 123 lists the “corrupt practices” that vitiate an election. Clause 7 reads thus: “The obtaining or procuring or abetting to obtain or procure by a candidate or his agent or, by any other person, any assistance (other than the giving of vote) for the furtherance of the prospects of that candidate’s election, from any person in the service of the government and belonging to any of the following classes, namely: (a) Gazetted officers; (b) stipendiary judges and magistrates; (c) members of the armed forces of the Union; (d) members of the police forces; (e) excise officers; (f) revenue officers including village accountants, such as patwaris, lekhpals, talatis, karnams and the like but excluding other village officers; and (g) such other class of persons in the service of the Government as may be prescribed.” Surely obtaining the assistance of a government servant to promote an election candidate’s prospects is not a “trivial” or “technical” matter in law or in morality. In the nature of things only the ruling party can do that. Clause 7 sought to establish a level playing field. The state and the party were kept separate. Rightly so. People begin to canvass and incur election expenses well before they file their nomination papers. Everyone knows when a person “began to hold himself out as a prospective candidate”. The Lok Sabha was dissolved on December 27, 1970. On December 29, Indira Gandhi addressed a press conference. A pressman asked whether the Prime Minister was “changing her constituency from Rae Bareli to Gurgaon”. Her reply was emphatic: “No, I am not.” It was taped by All India Radio and the tape was produced in court. It was reported by the entire press. She held out her candidature to the wide world from that moment, specifying her constituency. Her office wired her tour programme on January 25, 1971, to the Chief Secretary, Uttar Pradesh, stating specifically that she was to file her papers at Rae Bareli on February 1 at noon. Incredibly, she argued belatedly in an additional written statement on August 27, 1972, a year after the first on August 2, 1971, that she held herself out as a candidate only on February 1, 1971, when she filed her nomination at Rae Bareli. Why? Because she had meanwhile used the services of Yashpal Kapoor. It was only on February 6 that the Gazette of India published a notification, dated January 25, 1971, announcing the President’s acceptance of the resignation of Yashpal Kapoor, but retrospectively from January 14. He had been working for her well before January 25. Haksar claimed on oath to have accepted the resignation orally, subject to a written order thereafter, and to have followed this practice throughout his career. The Judge noted: “Sri Haksar expressed his inability to mention any rule under which it was permissible to appoint people and to remove them by word of mouth…. The statement appears to have been made only to fortify the plea set up by the Respondent No.1 [Indira Gandhi] in the additional written statement regarding oral acceptance of the letter of resignation.” The plea of oral acceptance did not figure in her statement of 1971, only in the one of 1972. Asked whether he had passed any order in writing later accepting the resignation, Haksar could only reply that he did not remember. Justice Sinha held that Kapoor ceased to be a government servant from January 25 and had worked for Indira Gandhi since January 7. On this mass of evidence alone, breach of Clause 7 was proved enough to vitiate her election. Were he partisan, the Judge would have branded her a liar and listed the lies. He used markedly different language for the trio. “I regret my inability to accept it [her evidence]”, on one point; her plea “has no legs to stand [on]”, on another; and “does not bear any scrutiny” on a third. Haksar was disbelieved with a sarcastic comment: “interesting”. Contumely was reserved only for the contemptible Yashpal Kapoor. Yet, in restrained language. “He is not a reliable witness.” Conscious of his client’s lapses, Indira Gandhi’s counsel made a desperate plea citing her office. It met with a dignified response: “It should be conceded that when a person appears in Court as a witness and his evidence appears to be natural and probable, the status and respectability attaching to him is also taken into consideration to lend further assurance to his testimony. The status and respectability of the witness alone cannot, however, induce the Court to accept his/her testimony, more so when he or she is himself/herself a party to the proceedings and interested in the result of the case.” That was a crime for which she never forgave him. On September 10, 1979, in Mumbai, she said that “a petty judge” had disqualified her on flimsy grounds. This shabby behaviour was ignored by the nation. Significantly, even when the censorship rules were relaxed on September 19, 1975, the ban on “Supreme Court proceedings on Smt. Indira Gandhi’s appeal” remained. So do her disgraceful amendments to the election law to this day. They are so convenient to those in power. The revised definition of “candidate” survives. He becomes one only when he files his nomination papers (Section 79 b), even if he has spent a fortune earlier on his campaign or committed other abuses. Under a new Explanation 3 in Section 123, resignation of a government official takes effect on its publication in the official gazette. On September 12, 1979, Chief Election Commissioner S.L. Shakhdhar called for their repeal. In June 1977, Parliament passed a Bill restoring to the Supreme Court the power to decide disputes relating to presidential and vice-presidential elections. The Bill was supported by all sections of the House, including the Congress. Law Minister Shanti Bhushan said that he proposed to bring forth a comprehensive measure on the reform of the election law. His article on Independence Day cited the amendments to the election law and the Constitution, among “the more glaring distortions” of the former regime. In his address to Parliament on March 28, 1977, acting President B.D. Jatti said that the government would take steps to secure the repeal of the amendments which “defined corrupt practices and afforded protection to electoral offences by certain individuals by placing them beyond the scrutiny of the courts”. Such a measure was promised in the Janata Party’s manifesto as well. The pledges were listed along with others for the repeal of the repressive laws. They were broken. In contrast, at an Indo-German (East German) seminar in Delhi in 1983, Justice D.A. Desai of the Supreme Court boasted: “I propose to remain in the system, corrode it and refill it with new elements so that the system can effectively render Justice”, his oath of office notwithstanding. To some Judges, the constitutional system is a foreign plant. They will replace it by their own will. Justice O. Chinnappa Reddy regarded (February 1987) “the basic structure” doctrine as one “propounded by the bourgeoisie”. Coke, as Chief Justice of the Common Pleas, spoke up to King James I, and his defiance was noted by Justice K.K. Mathew in Indira Gandhi’s case (1975 Supp. SCC; page 133). It all happened on a Sunday morning on November 10, 1607. Coke told the King that he could not try cases. “Then the King said that he thought the Law was founded upon Reason, and that he and others had Reason as well as the Judges. To which it was answered by me, that true it was that God had endowed his Majesty with excellent science and great endowment of Nature. But his Majesty was not learned in the Laws of his Realm of England; and causes which concern the Life, or Inheritance, or Goods or Fortunes of his Subjects are not to be decided by natural Reason but by the artificial Reason and Judgment of Law, which requires long Study and Experience before that a man can attain to the cognisance of it, and that the Law was the golden Merwand and Measure to try causes of the Subjects, which protected his Majesty in safety and peace. With which the King was greatly offended, and said that then he should be under the Law, which was treason to affirm (as he said). To which, I said, that Bracton saith, Quod Rex non debet esse sub homine sed sub deo et Lege – that the King should not be under man, but under God and the Laws.” This puts paid to the Judges’ notion that they can ignore the law and use their own “reason”. The will to mould the law is not backed by legal equipment. The desire to win popular acclaim and immortality is unworthy in a Judge. It results in arbitrariness and end to the rule of law. “The constitution does not allow reason of state to influence our judgments. We must not regard political consequences, how formidable ever they might be. If rebellion was the certain consequence, we are bound to say ‘Fiat justitia, ruat coelum’. The constitution trusts the king with reason of state and policy…. I wish popularity, but it is popularity which follows, not that which is run after. It is that popularity which, sooner or later, never fails to do justice to the pursuit of noble ends by noble means. I will not do that which my conscience tells me is wrong upon this occasion, to gain the huzzas of thousands or the daily praise of all the papers which come from the press. I will not avoid doing what I think is right, though it should draw on me the whole artillery of libels; all that falsehood and malice can invest, or the credulity of a deluded popular can swallow.” (98 E. R. 327 at 347; 19 State Trials, page 1075). It was in full keeping with this tradition that on April 1, 1829, the Chief Justice of the Supreme Court of Bombay closed the Court because the Governor did not enforce its orders (Frontline, August 1, 2003, page 76). In contrast, as Chairman of the Press Council, Justice N. Rajagopala Ayyangar assured V.C. Shukla, Minister for Information and Broadcasting, on August 13, 1975, that he had successfully averted discussion of the Emergency (White Paper on Misuse of Mass Media). “Posterity will not excuse the perpetrators of the Emergency. But what about succeeding regimes? Violations of fundamental rights to life and liberty continue on large scale. According to one report, 75,000 violations have been reported this year in Uttar Pradesh alone. “Peaceful demonstrations are still subjected to use of excessive force. Custodial deaths and governments being called upon by courts of law to pay compensation are routine news. But can compensation be a solace to those whose near and dear ones lost their lives merely because they incurred the displeasure of those in authority? “In 1975, all those atrocities occurred in the name of Emergency. There is no official Emergency today, yet the atrocities persist. It appears we have learnt no lessons. These are dangerous portents, and unless we take serious notice today to rectify these evils, the much-maligned Emergency may recur, albeit in a disguised form.” They do not make men like him any more.